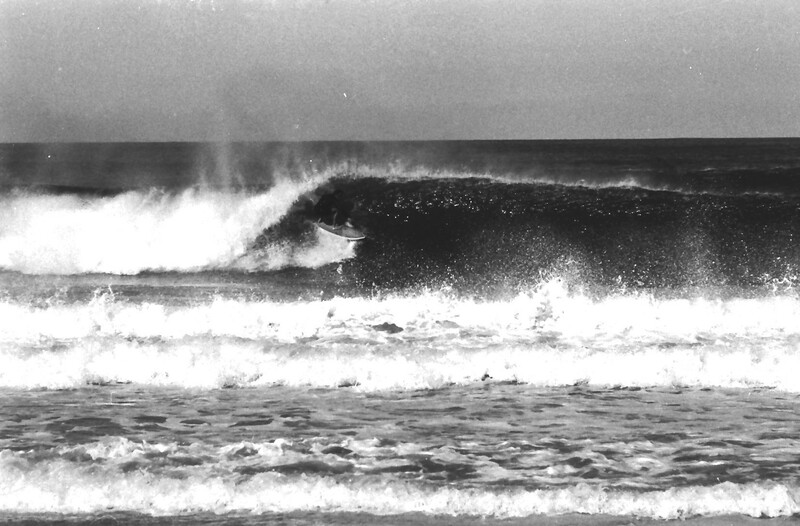 Water shot of Wayne ”Smiley” Warmsley on the Little Beach at Redhead around 1979. 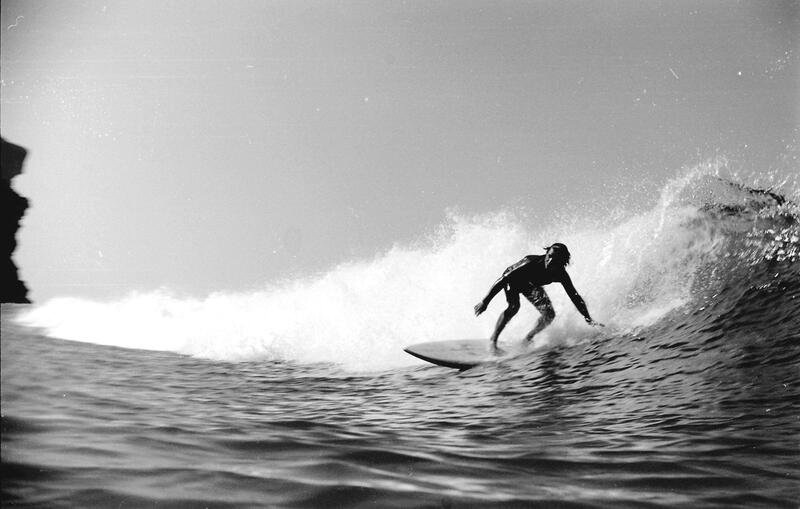 Greg ” Bugsy” Bargwana on a speed run surfing at Redhead Beach around 1978. 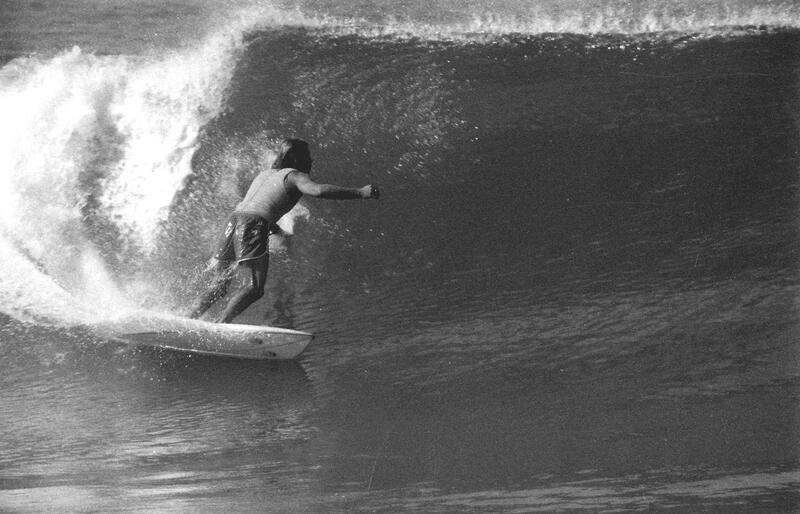 Col Smith executes a nice bottom turn at Redhead around 1978, riding an early Jim Pollard channel bottom. Col Smith showing off one of the Hawaiian bound Jim Pollard Channel designs and his sponsor’s Tracker jacket. 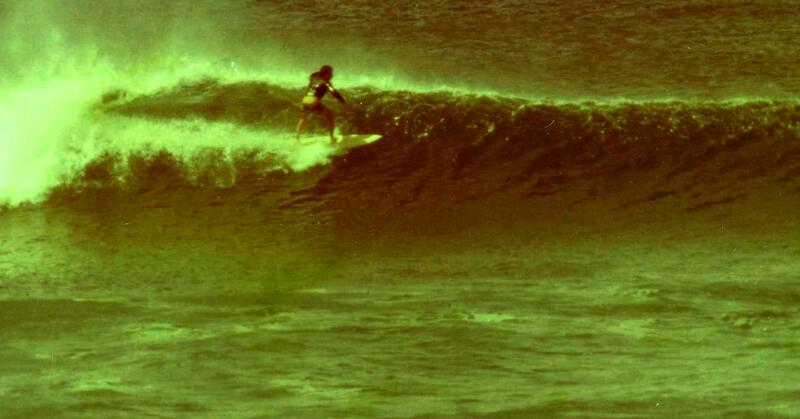 The channels worked well for Col there. 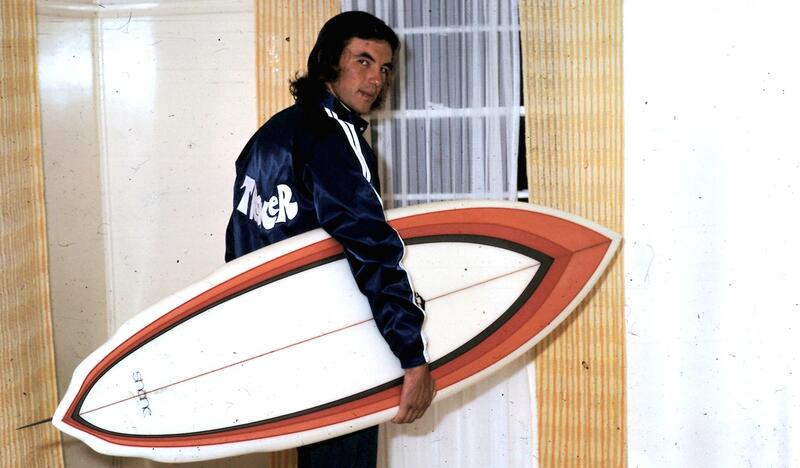 Taken the day before he left for Hawaii around 1976.